Three Korean candidates vying for U.S. Congressional seats. November. 07, 2018 07:26. by Yong Park parky@donga.com. 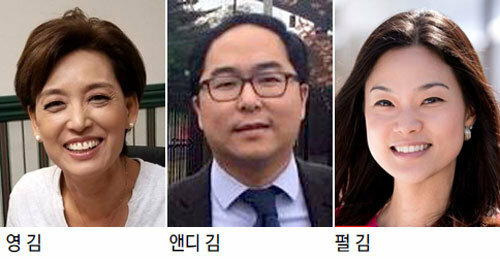 Three Koreans are campaigning at this U.S. midterm elections to become members of the House of Representatives. The "Kim Trio" - Young Kim (age 56, California’s 39th district, Republican), Andy Kim (age 36, New Jersey’s 3rd district, Democratic), and Pearl Kim (age 39, Pennsylvania’s 5th district, Republican) – are seeking to enter the Congress in 20 years since former Congressman Kim Chang-joon (Republican) in 1998. Young Kim, who is running for the district of former Congressman Ed Royce (Republican), who retired from politics, is challenging herself to become the "first Korean female member of the U.S. House of Representatives." 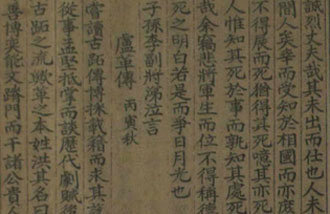 Not only is she familiar with the district by working as former Congressman Royce’s assistant for more than 20 years but also has a strong point that she is an Asian woman who succeeded on her own by operating a clothing business after moving to the United States as a high school student and graduating University of Southern California. Candidate Andy Kim, who is seeking to become the first Korean Democratic member of the House, is running against Tom MacArthur, the Republican incumbent candidate who is seeking his third term. Graduating Oxford University, Andy Kim is a diplomatic security expert who served as an assistant in charge of Iraq IS (Islamic State) at the National Security Council during the Obama administration. He had to suffer an attack that he was a "Washington elite" and an "outsider" at the beginning of his campaign because of his experience as a Middle East expert as a Korean immigrant but completely overturned the situation when he gained attention as a politician that represents "anti-Trump sentiment" since September. Former President Barack Obama declared his support and former Vice President Joe Biden joined campaigning for Kim. Pearl Kim, a former prosecutor who is running for Pennsylvania’s 5th district, is fighting alone. She is falling behind with large margins to Democratic candidate Marry Scanlan who also worked in the legal sector, at a region where the Democratic Party is strong.